Como disfrutamos crear mini-mosaicos! Sofia diseñó la bandeja a la derecha para que, como explica ella, sus muñecas pueden desayunar en la cama cuando están malitas! La bandeja rosa hice para mi casa de muñecas. La bandeja de arriba es la bandeja que hice para el sorteo! 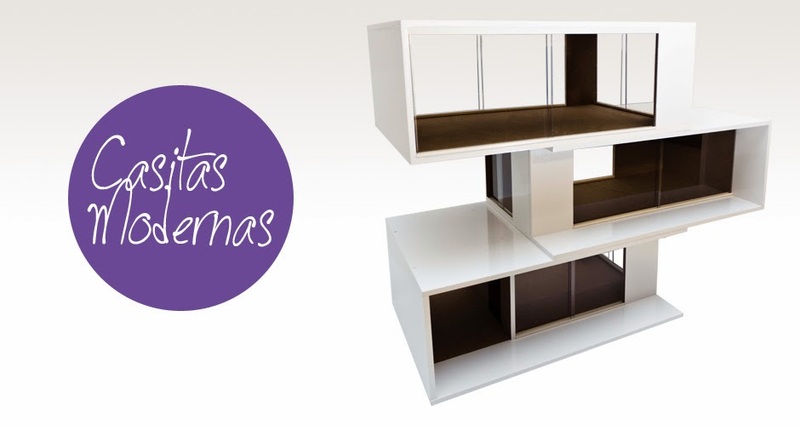 El mosaico grande será una mesa…para la tercera casa de muñecas que acaba de llegar! 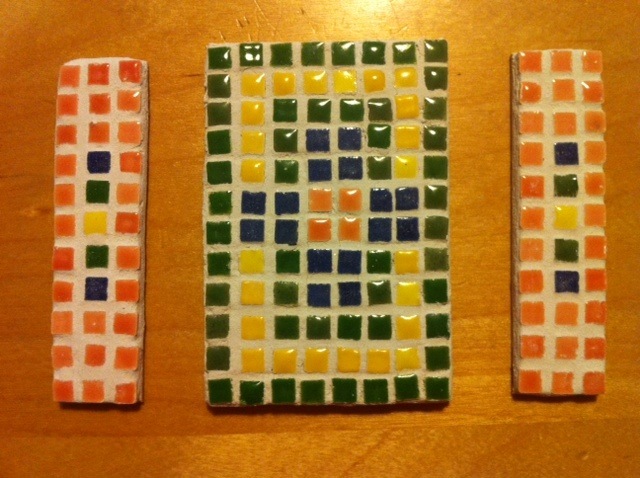 We are enjoying mini-mosaic projects these days...Sofia designed the tray on the right, so as she says, her dolls can have breakfast in bed when they are sick! I made the pink tray for my dollhouse :), and the blue, green and white tray was my first attempt at making mosaics-it became part of a breakfast tray giveaway I made! The large mosaic will be a table...it will go into dollhouse #3, which just arrived this weekend! 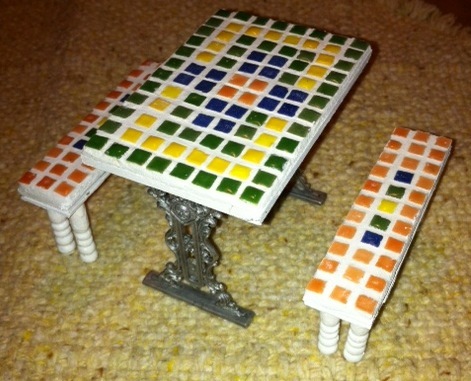 The mosaic table now has a pair of benches to match! Check out the finished table below! Your mosaic work is beautiful. I love the yellow and orange one. ooh.. How fab this is! Hi Irina! Welcome! The giveaway is on another post, I can't figure out how to move your comment there...but I'll count you in anyway! If you have a blog, it would be great if you could post a link to the giveaway there, too! Thanks!!! I just found your blog via Drora. Very exciting everything you are doing. See you soon again. Hi Wyrna! Thank you so much, and welcome! I found your blog, too, and just became your newest follower, as well! Que bonitos son estos mosaicos que haces! Holaaaaaaaaaaaaaa!!!! :) :) Ya estoy aquí!! La verdad es que estos mosaicos dan mucho juego y para las bandejas es un gran idea. Hola Eva! Bienvenidos! :) tambi'en me ha encantado conocerte, y nos veremos otra vez dentro de poco seguro! Hi Kim! Welcome! I'm so flattered that you like the trays and lights! And they are so much fun to make! I just found your blog through Drora. Your mosaic work is beautiful & the colors are so vibrant. Hi Lisa! Welcome! Thanks so much for the lovely compliment! I'm really enjoying mosaics these days...more projects to be posted soon! Stay tuned! Beautiful mosaics! I did mine with paint chips!